Hello and welcome to my blog. If you are on my WordPress blog you may be noticing some different things going on. Just a little heads up I am in the process of changing over my blog to a different platform. It's not ready yet but very soon I will release a update letting you know when the new blog is ready. But, today I am sharing with you one of the cards that I created for my church to send out in January. 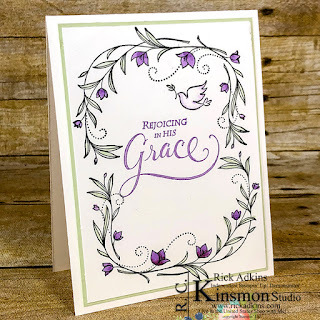 We have a new card ministry where I make a card each week. 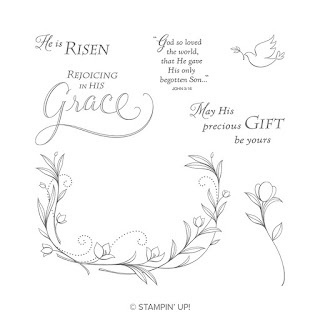 And, it is passed around and everyone in the church that day will sign the card and we send it to a fellow church letting them know that we all are praying for them for the reason they have requested. Each week its a different church in our organization. For January I created two designs using the same stamp set. 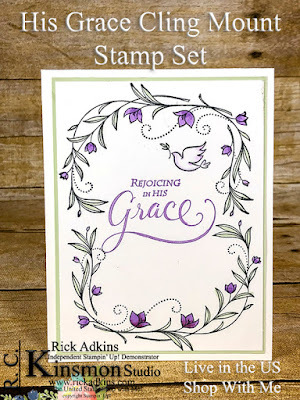 I used the His Grace Cling Mount Stamp Set in the 2019 Occasions Catalog. 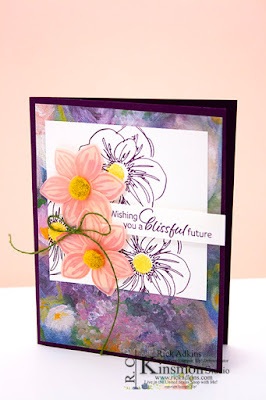 I also share in the video a few tips on basic Stampin' Blends coloring. 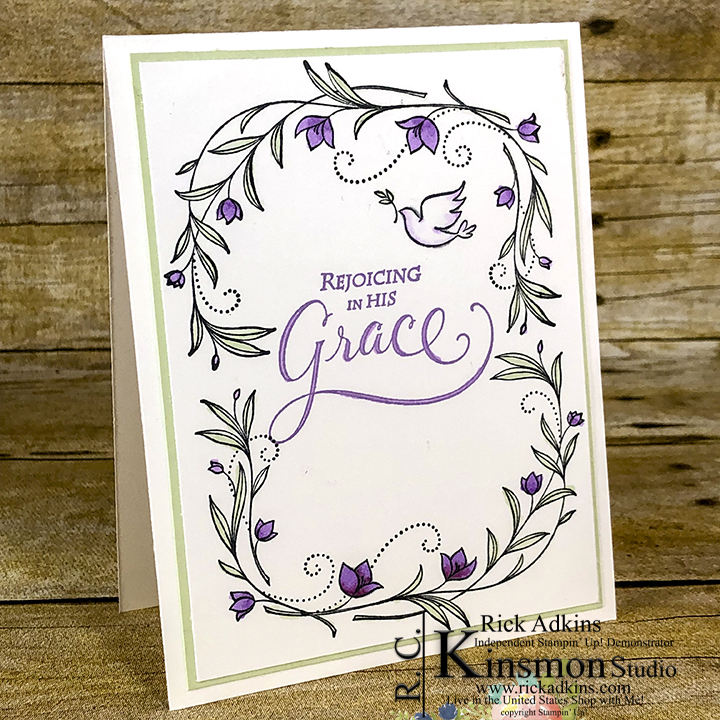 Here's a look at the card that I created. The coloring for this card is really easy. 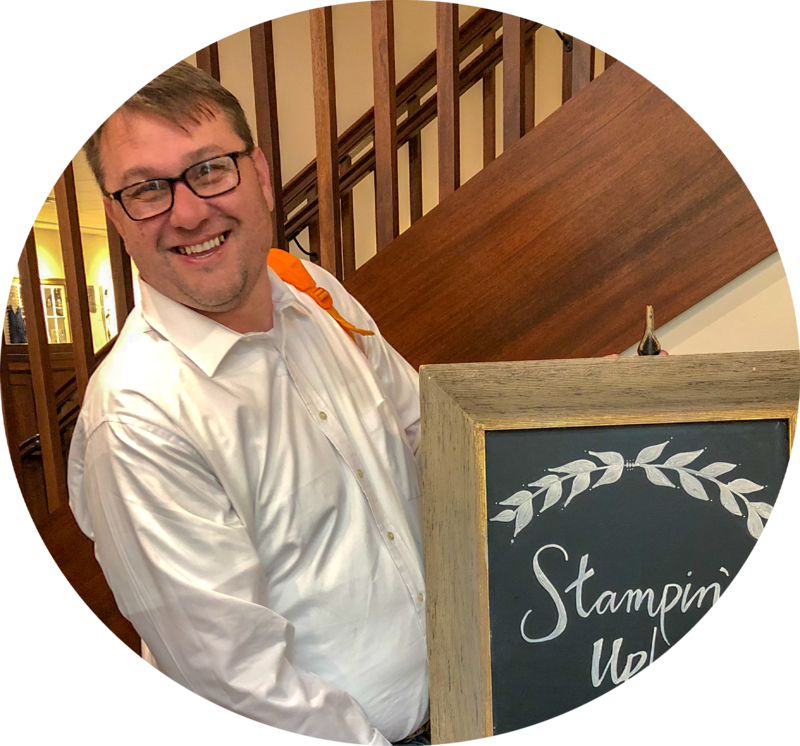 And, what makes it easier are the fact that Stampin' Blends only come in a light and dark tone. This feature makes it super easy for people that have never colored before to achieve great results. Just the two tones take out the guesswork from deciding what color to pick next. I used only two colors to create this card. 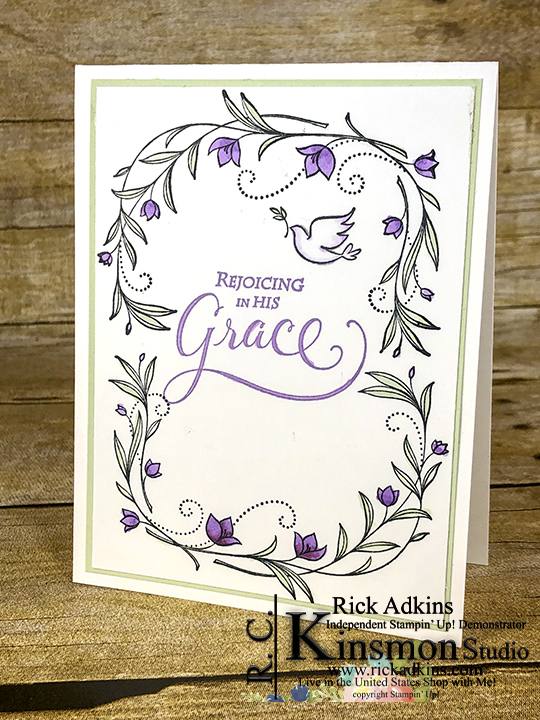 When I set down to design this card for my church last month I needed a few things. One, It had to be easy to create. Two, It had to be quick coloring. And, three it had to look good. So by limiting the number of colors was the perfect way to go. 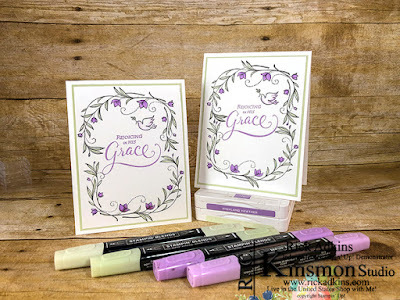 The His Grace stamp set was also the perfect choice because it had images that could be colored quickly and was church appropriate. Here's a look at the stamp set. If you are viewing this post by email you may have to click here to see the video. Some platforms will not let you watch the video via email. If you would like to get the supplies you have seen today you can pick them up in my online store by clicking the link here or by clicking on item in the supply list below. 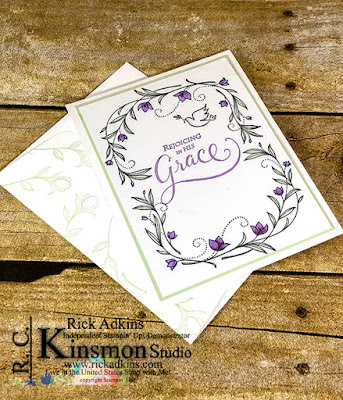 Thanks for dropping bye today, I will be live on my Facebook page at 11 am CST today for the next episode of Rick's Saturday Simple Stamping.